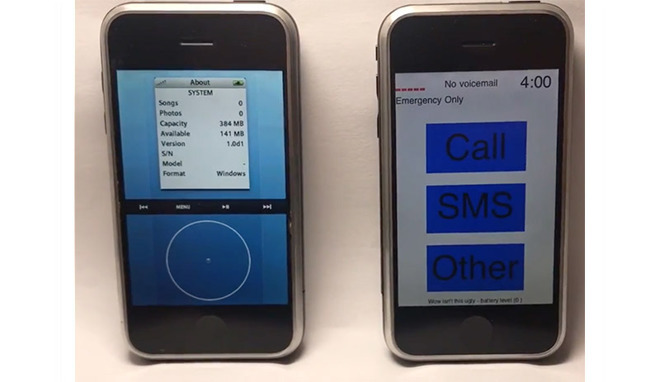 While both models share an —extremely rough —original iPhone aesthetic and are powered by identical internal components, the underlying software is completely different. By contrast, Forstall's P2 client software is a more fleshed out direct touch —ultimately multitouch —interface complete with icons and interactive onscreen graphical elements. While an obvious prototype, the P2 version seen below shares similarities with the "SwitchBoard" operating system Apple currently deploys to test iPhone prototypes.